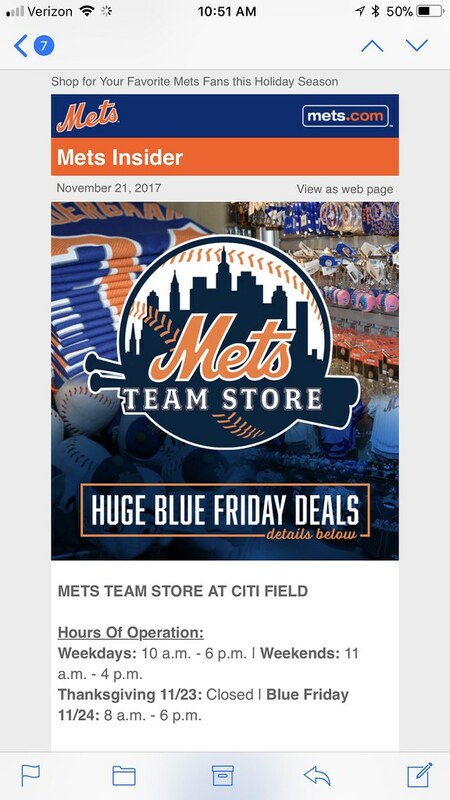 The Mets are having their annual Blue Friday Sale this week. 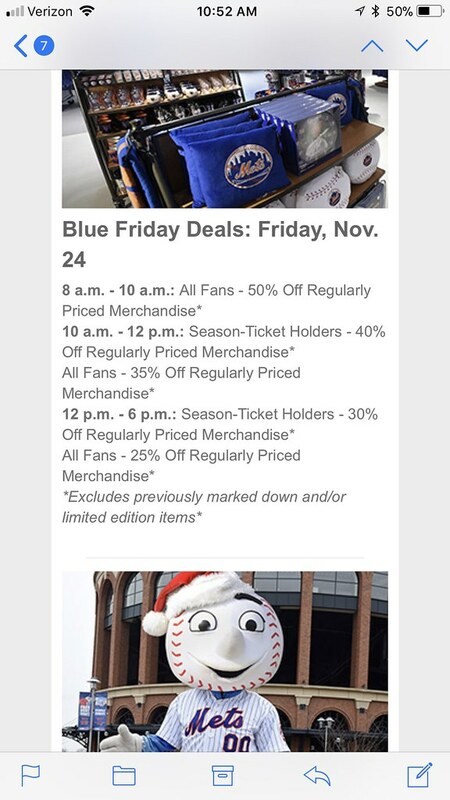 If you get there early enough you can get up to 50% off. 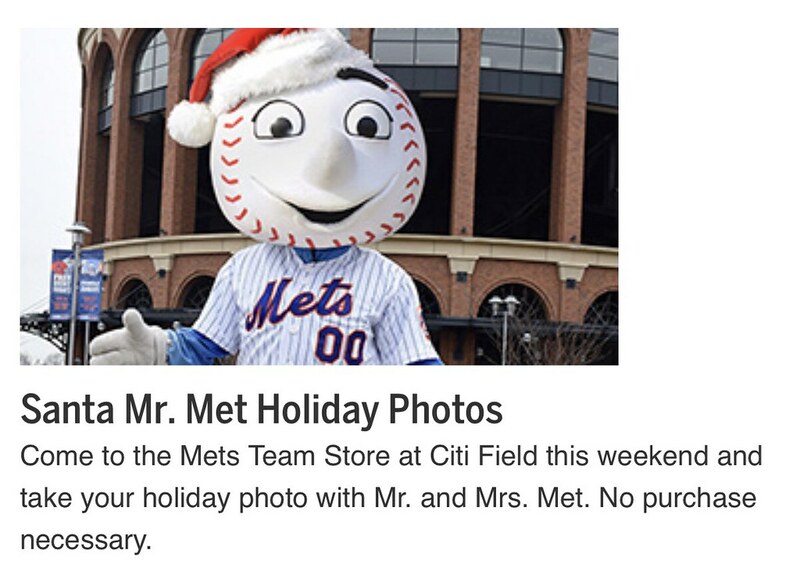 - You can also get your Holiday picture taken with Mr and Mrs Met Friday and Saturday.